Tandberg Data RDX 320GB Cart. 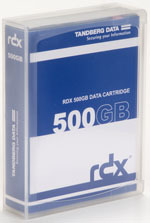 Tandberg Data RDX 500GB Cart. Tandberg Data RDX 640GB Cart. Imation RDX 750GB Cart. 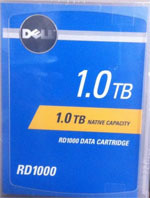 Tandberg Data RDX 1TB Cart. 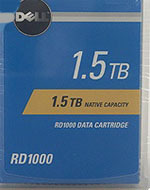 Tandberg Data RDX 1.5TB Cart. Quantum RDX 1.5TB Cart. MR150-A01A HP RDX 3TB Cart. 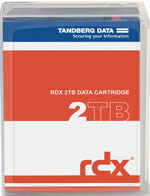 Tandberg Data RDX 2TB Cart. Imation RDX 2TB Cart. Quantum RDX 2TB Cart. MR200-A01A HP RDX 4TB Cart. Tandberg Data RDX 3TB Cart. Imation RDX 3TB Cart. Quantum RDX 3TB Cart. MR300-A01A Tandberg Data RDX 4TB Cart. Imation RDX 4TB Cart. 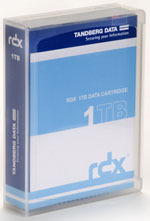 Tandberg Data RDX 5TB Cart. HP RDX Internal USB 3.0 w/500GB Cart. HP RDX Internal USB 3.0 w/1TB Cart. Quantum RDX External Dock w/320GB Cart. HP RDX External USB 3.0 w/1TB Cart. Quantum RDX External Dock w/500GB Cart. HP RDX External USB 3.0 Dock. Tandberg Data RDX Bundles - Available NOW! Imation RDX Bundles - Available NOW! Quantum RDX External Dock w/1TB Cart. HP RDX External USB 3.0 w/2TB Cart. FREE Tandberg Data RDX Docking Station Promotion - Click here! Quantum RDX External Dock w/1.5TB Cart. Imation RDX 27428 Removable Disk-Based Storage System - 320GB HDD (Hard Disk Drive) Cartridge Compatible with Dell RD1000. RDX Cartridges will work in Imation, Tandberg Data RDX, HP RDX and Quantum RDX Docking Stations. Imation RDX 27835 Removable Disk-Based Storage System - 640GB HDD (Hard Disk Drive) Cartridge Compatible with Dell RD1000, Tandberg Data RDX, HP RDX and Quantum RDX. 160GB, 320GB, 500GB and 1TB Removable Disk Cartridges.